Cairns’ outstanding seascape sprawls before you. You recline on the deck chair and gaze upon this immense spectacle of nature from your spacious balcony. 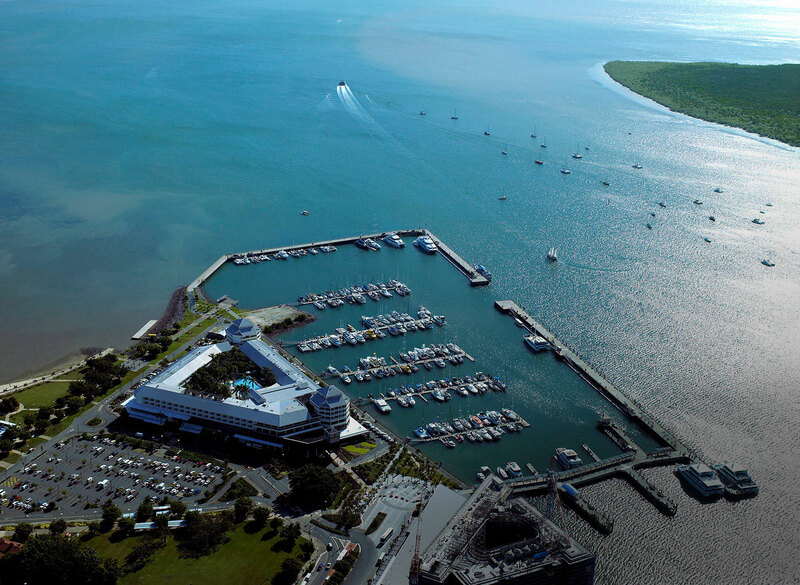 A sight of unparalleled beauty unfolds at Shangri-La Hotel, The Marina, Cairns. As you let your mind wander, sights and sounds of the marina run free at the back of your mind. Sunlight dazzles off white yachts docked at the Marlin Marina while others cruise gracefully in the Coral Sea. Spellbound, you marvel at this gateway to a natural wonder. Tomorrow sees you embarking on an exploration of the Great Barrier Reef, which includes a seaplane ride and luxury cruise, followed by a snorkelling session and a healthy yet sumptuous lunch onboard. Despite your excitement, that will have to wait for now. Spurred by the verve down at the marina, you decide to take a slow stroll to watch the world go by. Before you know it, the sun begins its descent and hunger grows. Thrilled by the prospect of waterfront dining at the popular Marina Dining Promenade, you promptly pick The Backyard. The Backyard has a vibrant, relaxed feel with a distinct local North Queensland personality. Energetic and laid back during the afternoon – upbeat tempo and lively at night time. With a choice of airy seating areas; bar, deck or garden, guests can enjoy uninterrupted views of the waterfront, watch the boats return from the reef or simply relax and take in the gorgeous marina views and mountain range beyond. Back in the comfort of your room, your gaze soaks in the luscious duvets and goose down pillows atop the bed. Knowing how much you’re going to need the rest tonight, you succumb to its warm embrace. Deep sleep in lush comforts, you awaken in Shangri-La Hotel, The Marina, Cairns, a world beyond imagination.